Do you need round-the-clock service? Then our 24h Service Hotline is right for you. Our free 24-hour service hotline allows you to reach an SEW-EURODRIVE service expert 365 days a year. Whether you need spare parts or have a technical question, just give us a call. Simply dial 0800 and then enter the key combination for SEWHELP. Or simply dial 0800-739-4357. No matter which number you choose, our trained technicians and engineers will assist you around the clock. Do you have a specific problem or a technical question and would like our assistance? Just send us a message! 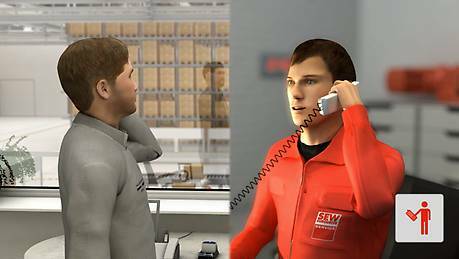 Watch an short animated video to learn what the 24h Service Hotline could mean to you.